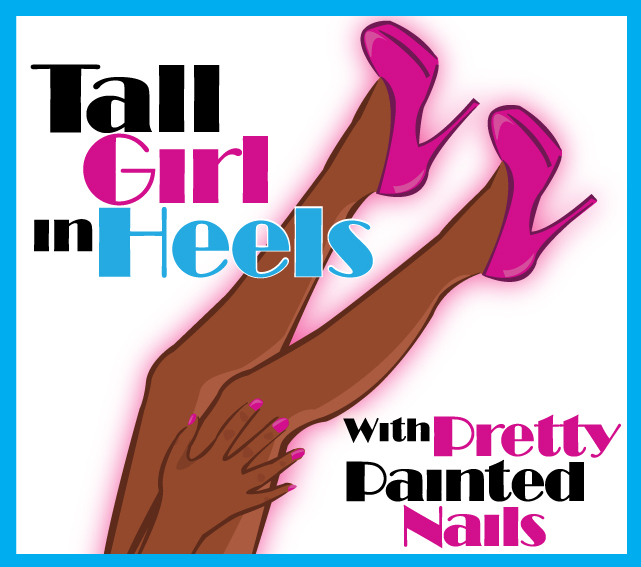 Tall Girl In Heels : Fun Freestyle Friday: Flat Iron Experts!! I totally skipped our Fun Freestyle Friday post last Friday. I'm so sorry. I will definitely make up for it today though. I'm bringing you the Isinis Triple Barrel Waving Iron from Flat Iron Experts. This Waving iron is wonderful. Her hair is bone straight in the above picture. Using Isinis Triple Barrel Waving Iron , I took the hair a layer at a time starting with the lowest layer. I waved each layer and they just fell together. I also used the KQC Thermal Shine Spray that was sent with the product. This spray was THEE best spray I've ever used. It made the waves more pronounced, shiny and bouncy. It added more to the hair and made the waves look perfect. The KQC Thermal Shine Spray is a great product when using heat on your hair. Per Flat Iron Experts website KQC Thermal Shine Spray is, "an ion enriched polishing complex formulated for superior heat protection and ultra gloss hair shine. Lightweight, non-greasy micro mist spray that eliminates frizz, softens and polishes hair without build up. Designed for all hair types. Use with flat iron, curling iron or hair dryers." The results were amazing. She really liked the way her hair came out. Nikia also told me that she received so many compliments on her hair. She even received compliments from her sons ages 15 and 13!! Teenage boys don't usually pay attention to that! I'd definitely recommend this Waving Iron!! Flat iron experts are on Facebook here and their website is here! This waving iron retails for $129.99, but is on sale right now for $109.99!! Here is the direct link. The KQC Thermal Shine Spray retails for $18.99 and is on sale for $13.99!! Here is the direct link. That is really cool! I didn't know one of those was made! !